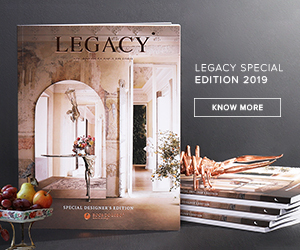 Purist sensitivity defines the “Made in France” signature of Pierre Yovanovitch, whose projects stand out for their refined sense of architectural scale over ostentation and fickle design trends. A true sense of strength and sobriety characterizes a Pierre Yovanovitch interior, achieved through a masterful interplay of harmonious volumes and strict lines softened by lighting and authentic materials. 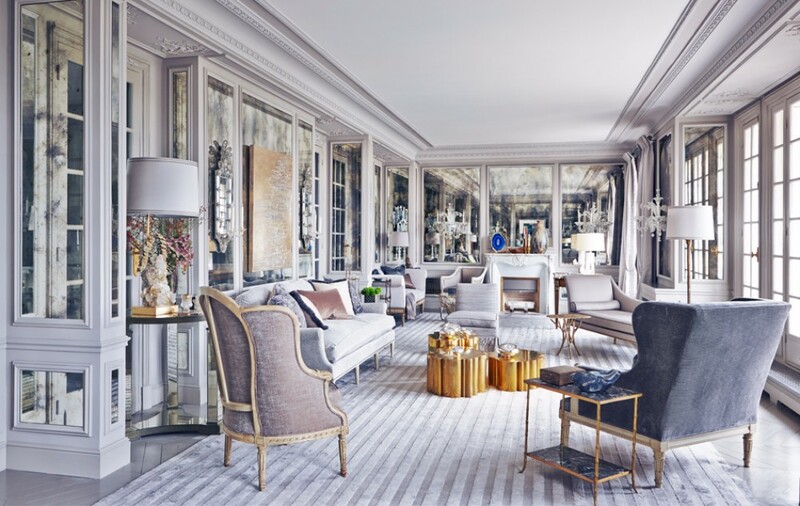 Known for being the go-to guy for the interiors of new galleries in Paris, his contemporary interior design seems effortless and chic. 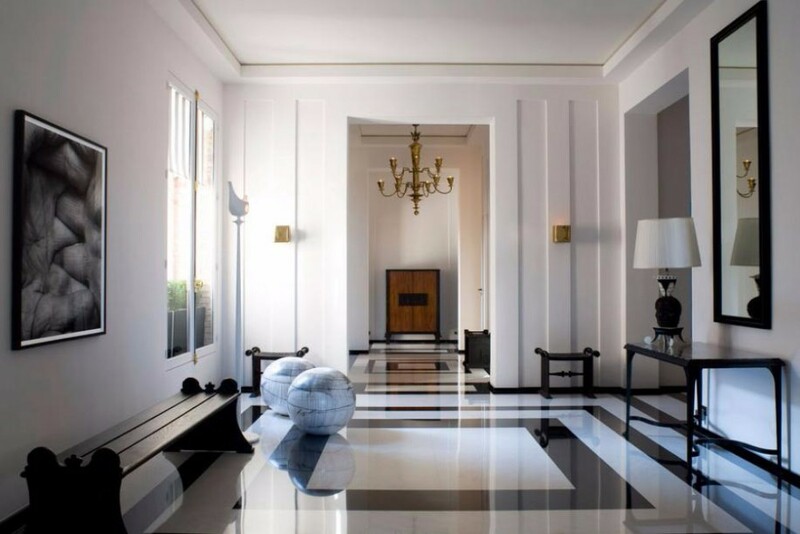 Today we’ll be looking at the art interiors of master interior designer Pierre Yovanovitch. 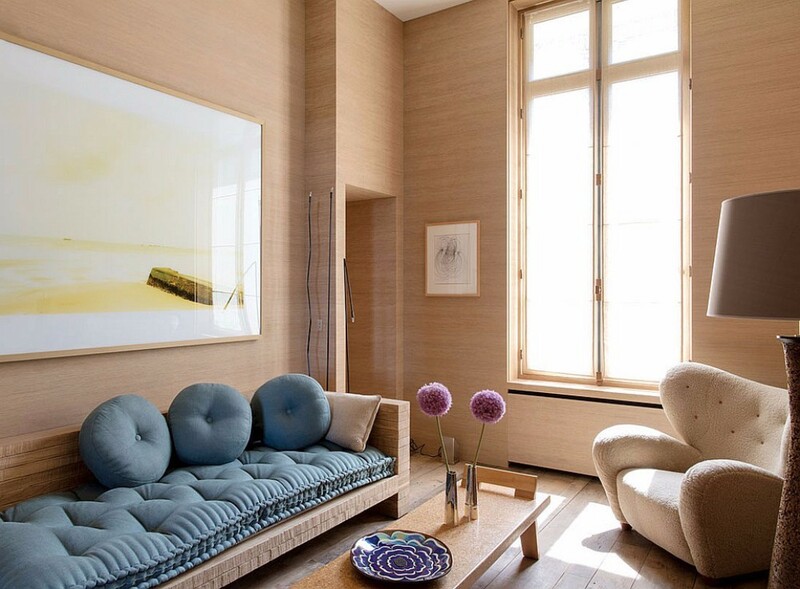 A beautiful wooden art interior with gorgeous seating and beautiful wooden cream tones all over the room. 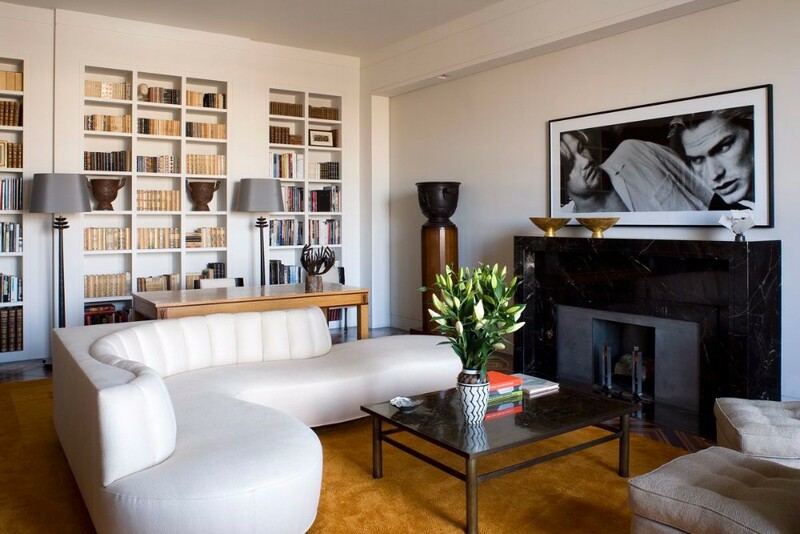 Charming contemporary living room design where the modern sofas Pierre is so fond of blend with a sleek marble fireplace, a meticulously organized bookcase, and charming coffee table. 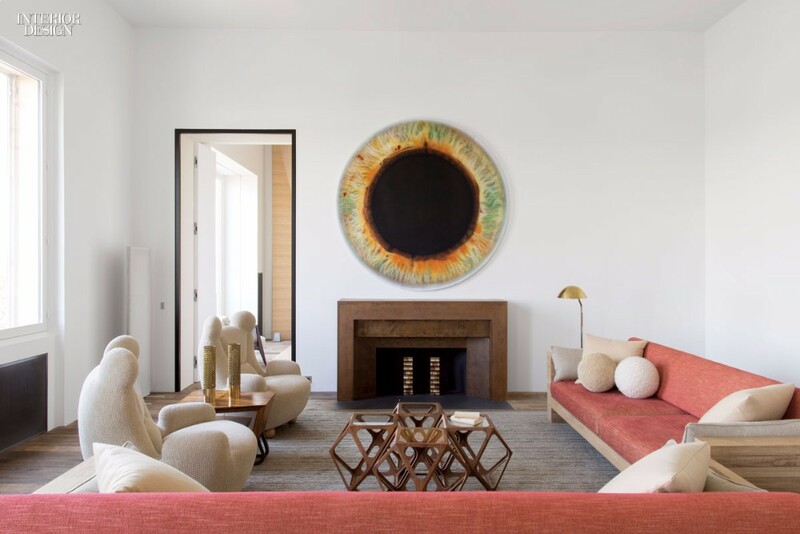 Beautiful living room design with pink tones and an all seeing eye that provides the peculiarity on this modern art interior. 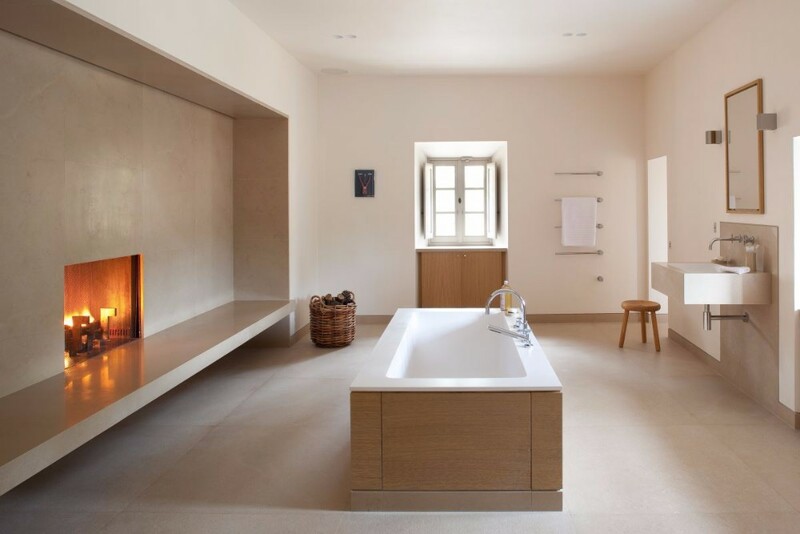 A charming minimal bathroom with its own fireplace. Sleek, simple and charming. 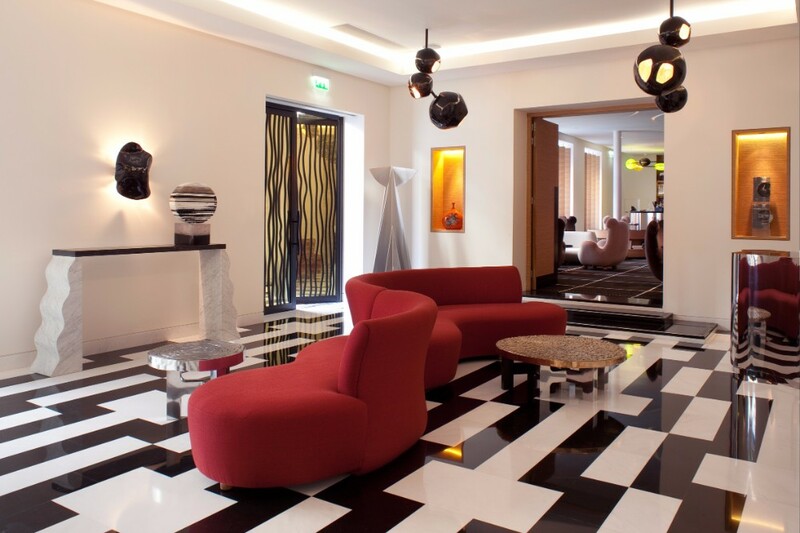 Gorgeous red sofa over black and white flooring at Hotel Marignan, by Pierre Yovanovitch. Luxurious living room design with beautiful coffee tables and a gorgeous blue seating area. A charming living room design with a long accent coffee table, a pair of armchairs and a gorgeous rug with a beautiful credenza on the background. 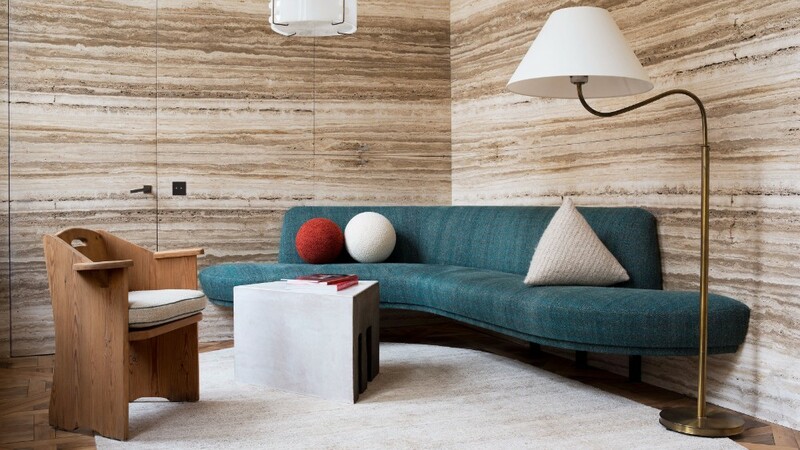 A beautiful seating area where the sofa is once more the star of the show, this time over a marble textured wallpaper and beautiful geometric pillows. 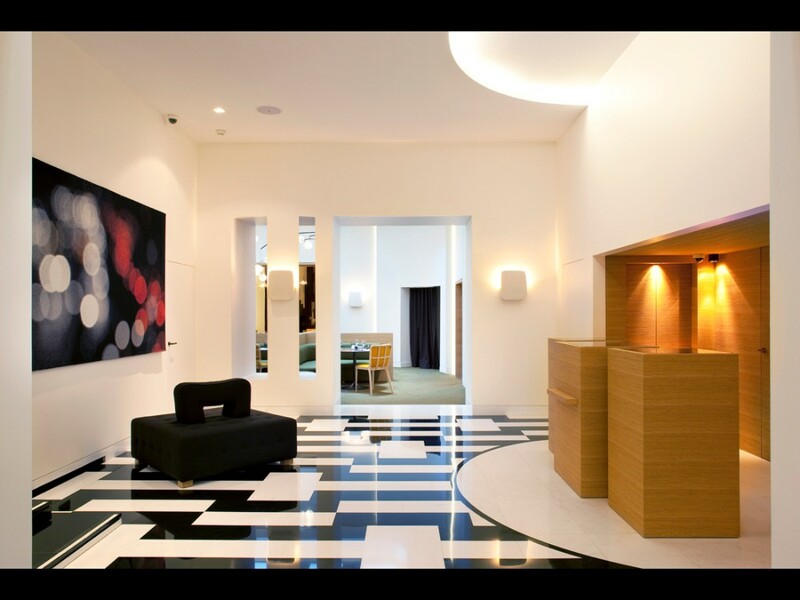 Hotel Marignan lobby by Pierre Yovanovitch, gorgeous black and white marble floor and wooden reception desk. 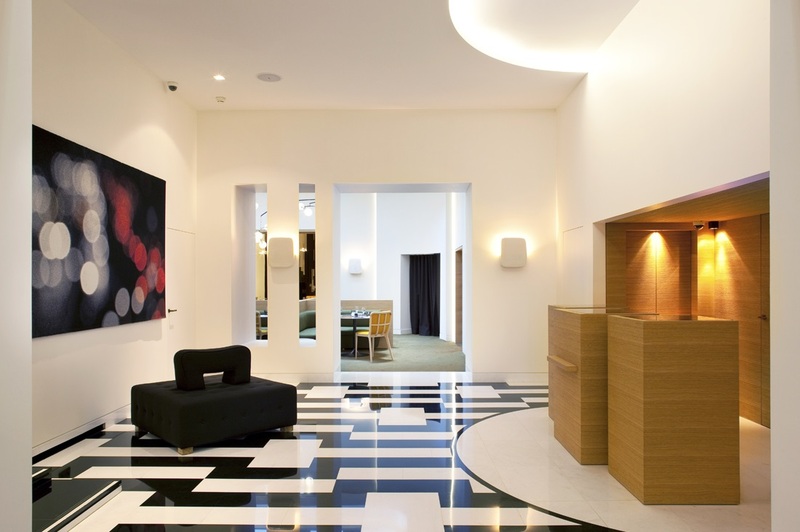 A charming hallway art interior by Pierre Yovanovitch, which seems unsettling with the piece selection. Gorgeous art interior on this cream toned living room with black and white details.